MexiFire is a stone that responds brilliantly to certain kind of cuttings that bring out its color. Fine cabochon cutting will bring out the transparency in MexiFire. 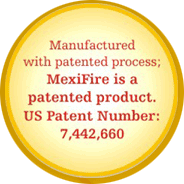 MexiFire also increases in beauty when it's cut in facets to bring out its fireworks.